Indonesia tsunami claimed 1,350 lives: Why wasn't there an early warning? A volcano-triggered tsunami has left at least 222 people dead and hundreds more injured after slamming without warning into beaches around Indonesia's Sunda Strait, officials said on Sunday, voicing fears that the toll would rise further. 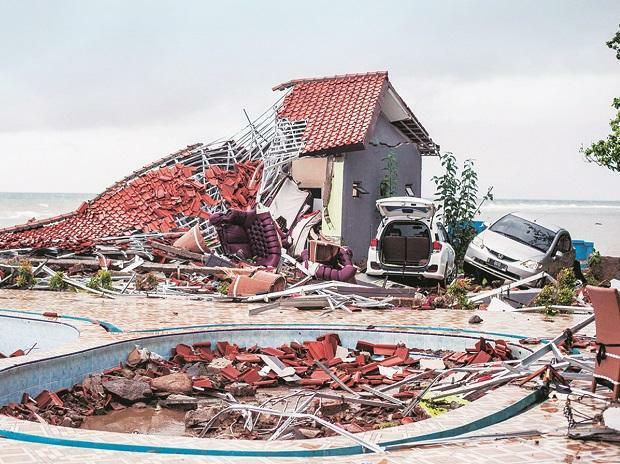 Hundreds of buildings were destroyed by the wave, which hit the coast of southern Sumatra and the western tip of Java about 9:30 pm (2000 IST) on Saturday after a volcano known as the "child" of Krakatoa erupted, national disaster agency spokesman Sutopo Purwo Nugroho said. Search and rescue teams were scouring rubble for survivors, with 843 people injured and 28 missing, Nugroho said. In September an earthquake hit the island of Sulawesi in Indonesia, triggering a tsunami. The two natural disasters devastated the region and had killed 2,000 people. Kathy Mueller from the International Federation of Red Cross and Red Crescent Societies said the toll was likely to rise.